'Forty Steps Cottages' (now demolished) were situated on the northern side of Baden Hill Road just beyond the 40 steps and opposite the Doll's House. They appear on the 1840's Tythe Map (below left) on plot numbered 144 On the 1898-1939 25" 3rd edition map (below right) they are just west of number 243. In the 1851 census three families are listed as living in the cottages, William Boyt & wife Martha and two children; Charles & Elizabeth Golding with their four sons & two daughters; and William & Harriet Taylor with one son and two daughters. 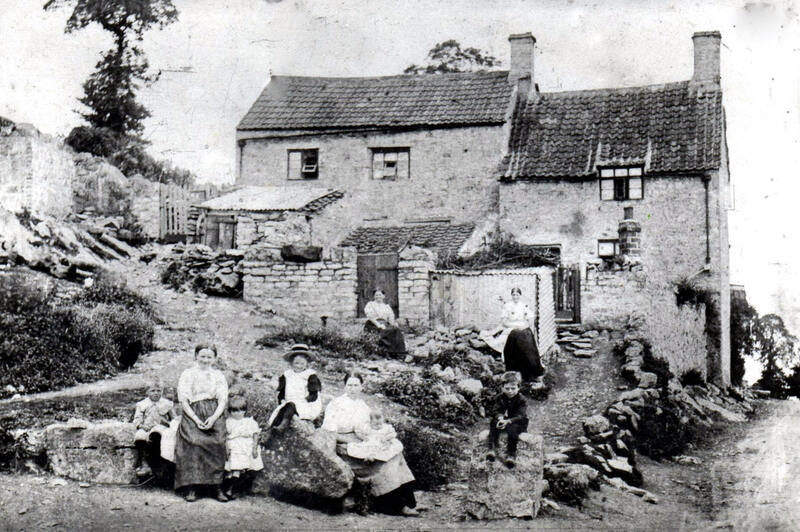 It is likely that the cottages were demolished in the early 1900's as quarrying expanded along Baden Hill Road. 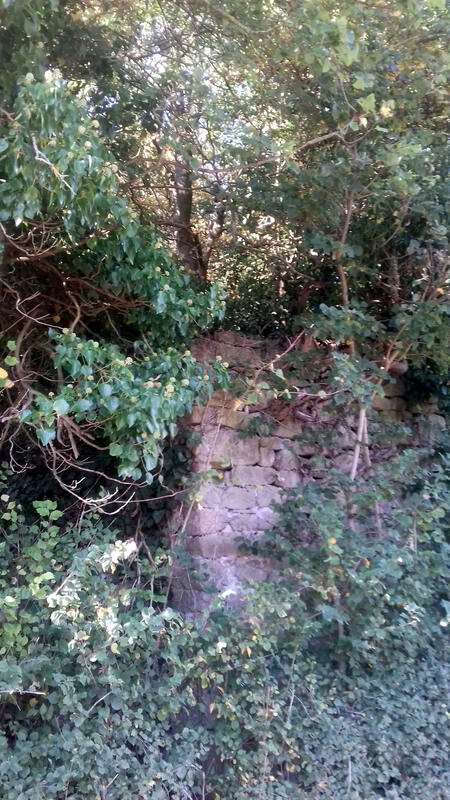 If you look closely the remains of the foundations of the cottages can be seen today amongst the trees and undergrowth. The photograph (left) probably dates from about 1900.